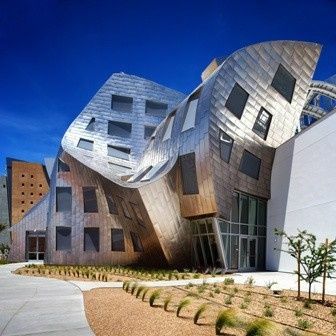 A modern wedding venue in Las Vegas, the Keep Memory Alive Event Center features beautifully innovative architecture, amazing event spaces and incredible services for your one-of-a-kind wedding. 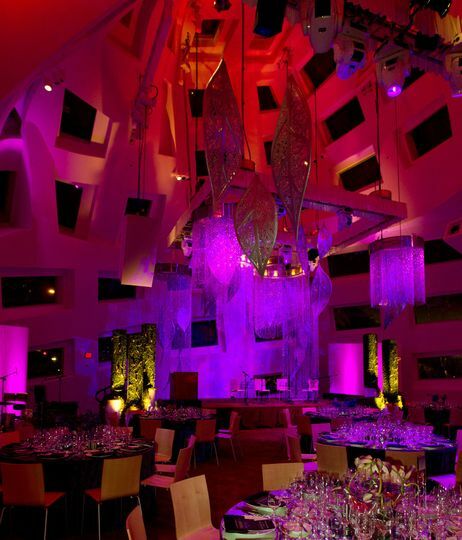 The venue is inspired by world-renowned architect, Frank Gehry, providing a creative and breathtaking space. 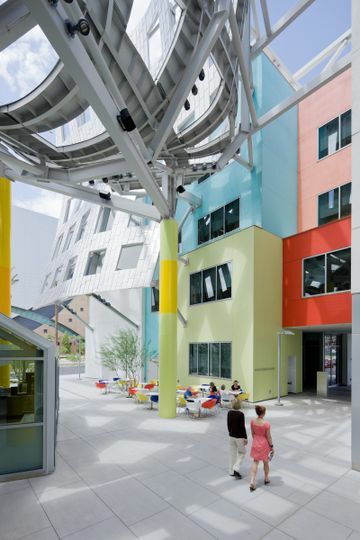 Located in downtown Las Vegas' Symphony Park neighborhood, you will be minutes away from the Las Vegas Strip. 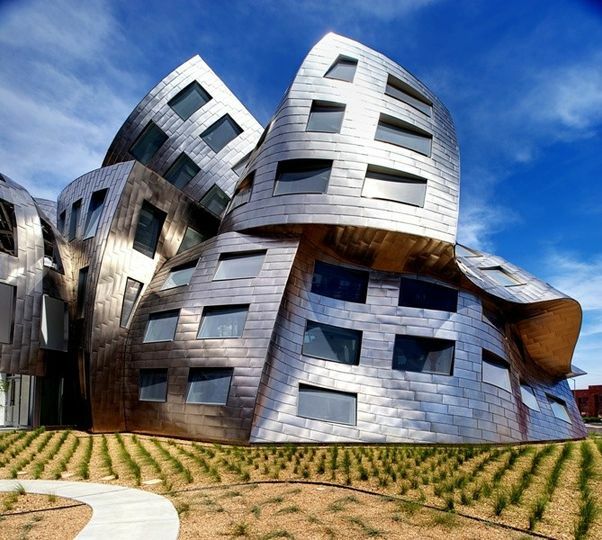 The Keep Memory Alive Event Center has 199 windows in a stainless steel canopy for an absolutely stunning event. Understanding each couple has a unique style and vision, your day can be personalized to match your tastes, including the wall colors! 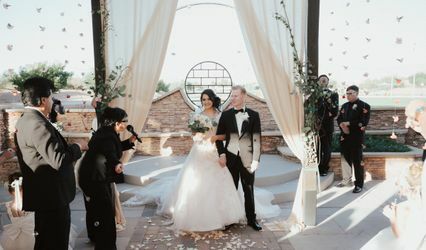 This venue has both indoor and outdoor settings, with ceremonies and receptions hosted in the 9,800-square-foot event center. 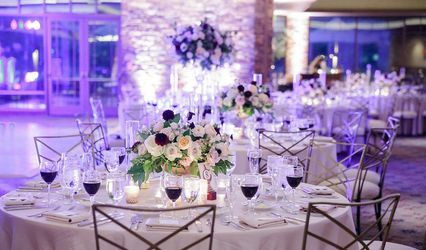 You can host up to 400 guests for a seated dinner, 700 guests for a standing reception and 1,500 people if you choose to use the outdoor garden and breezeway as well. Keeping Memory Alive was professional, personal and the perfect choice for our wedding reception. Not only did they personalize the event for us, they accommodated to any concerns we had. I can not speak more highly of them. Our guests are still talking about our wedding 2 weeks later. David, Gina, Paul and Gracious were a joy to work with and not to mention profits go towards a good cause! 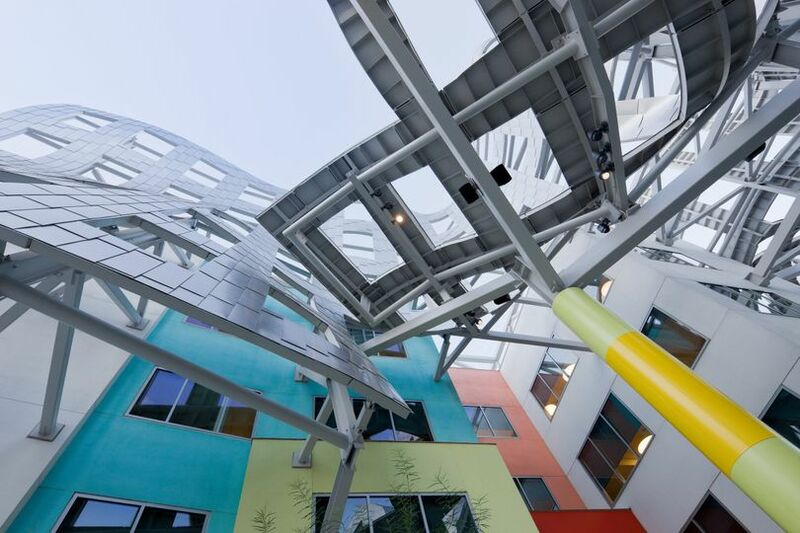 KMA stands for so much more than just one night as they donate the proceeds. Gina was always quick to respond as I worked with her the closest in planning the event. As a bride with a lot to worry about, I didn't have to worry about them delivering. Highly recommend to others! We are so glad we chose the Keep Memory Alive center for our destination wedding venue! 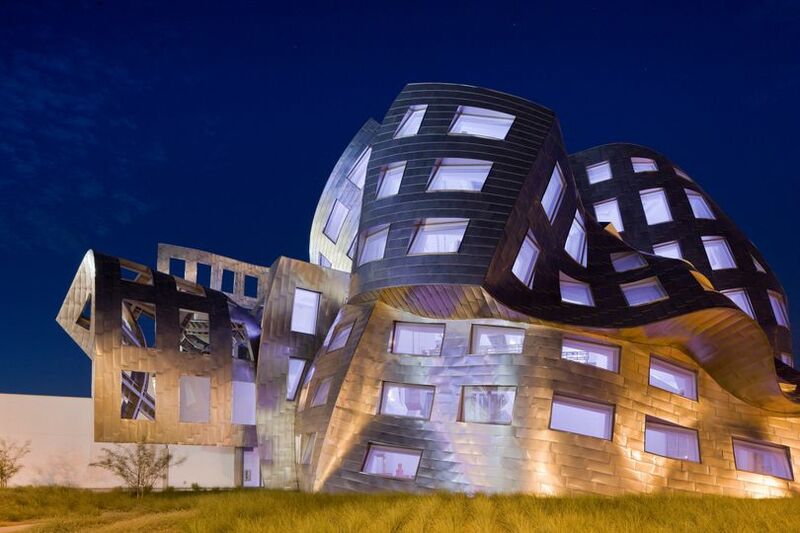 The Frank Gehry designed building was breathtaking and certainly impressed all of our guests. People are still talking about our awesome venue! 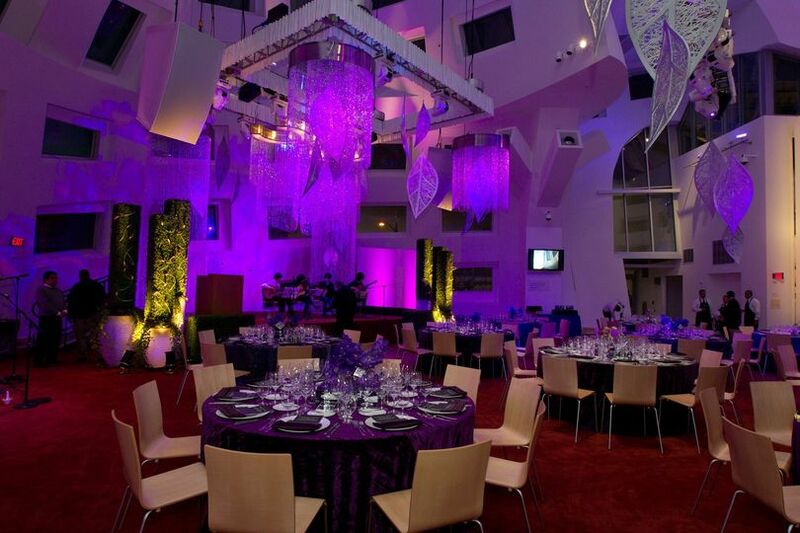 The white walled room was able to be transformed quickly into a modern fairytale. It was unbelievable! Being from Boston, and inviting over 100 guests to our wedding I was worried about coordination and how everything would come together in the end. Let me tell you; Gina, David, and Sawyer had everything under control!! They were a pleasure to work with and so helpful. I think all of the other brides that reviewed this place took all of the things that I wanted to say! However, I just want to reiterate that KMA is such a beautiful venue and a unique one at that. You don't have to do much to dress up your wedding reception. 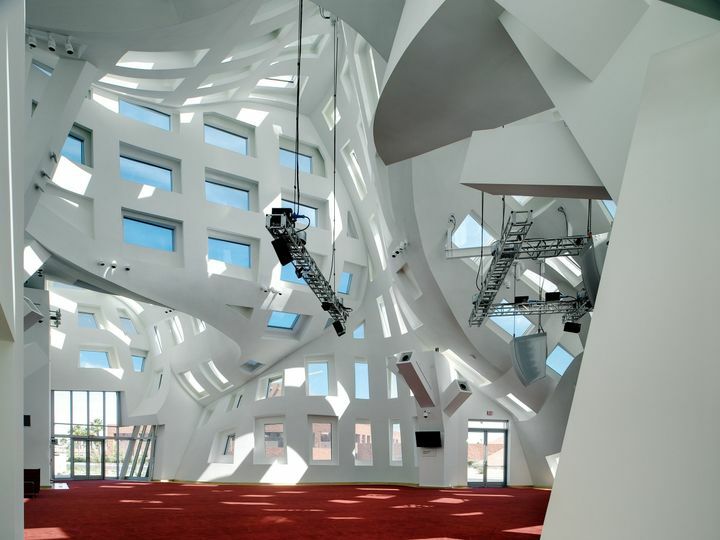 It is absolutely breathtaking inside and out. 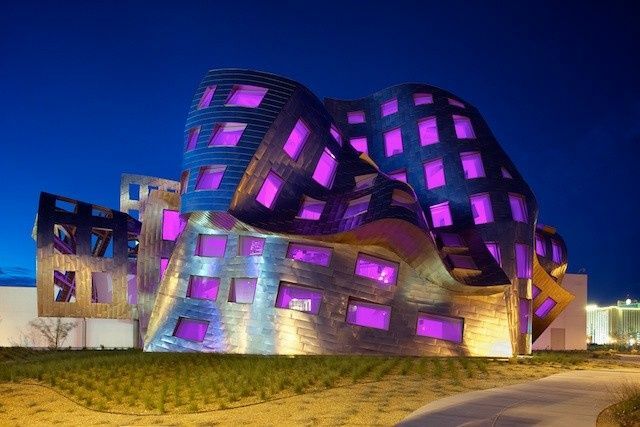 I loved this place because it was off the Strip, yet close enough that we could shuttle everyone to and from the Strip safely with AWG transportation. David and Gina were my lifesavers! They kept my sanity intact while planning this 330 person reception. They were always so helpful and so prompt--something that a Type A personality bridezilla loved!!! I brought in an outside caterer--David and Gina were so accommodating and did not make me feel bad for going with an outside caterer. They helped coordinate the reception timeline for us and the party was a success. When people start calling your wedding reception an "awesome party", you know something was done right. 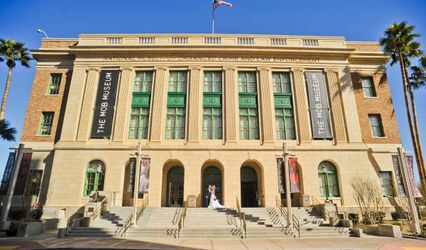 Not only could you have your wedding reception at such a beautiful venue, but you could feel good that the money that you pay for the reception gets donated to a good cause. 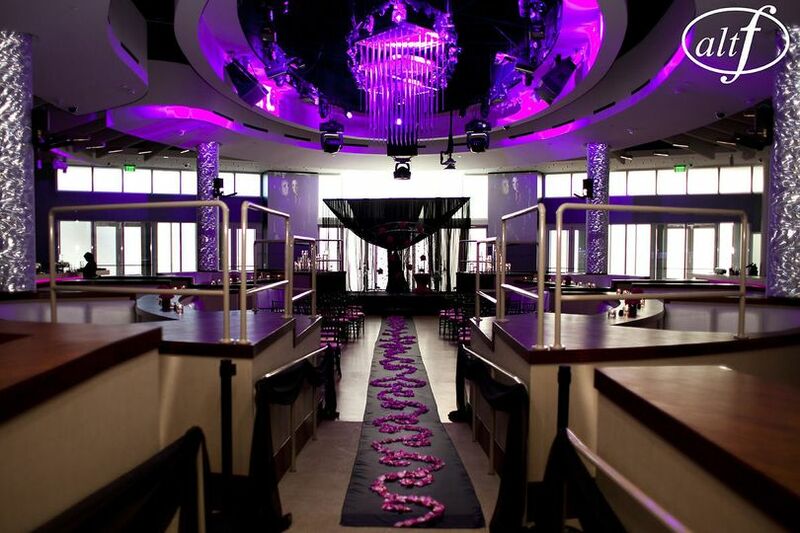 If you're willing to splurge for your venue--you will not regret it! You will be working with some of the coolest, most fun, yet extremely professional people in town. Special thanks to Gina, David & Sawyer (AV attendant) for making it a success! Such a beautiful space! We love doing events at KMA because everyone there is so attentive and as a team we create an unforgettable event for our couples!